To access information on the 2018 MOCHA Conference presentations, along with speaker bios and more, read the MOCHA Conference Program. What will participants gain from the MOCHA Conference? Location: Bond Life Sciences Center, University of Missouri-Columbia (MU) campus (1201 E Rollins St, Columbia, MO). 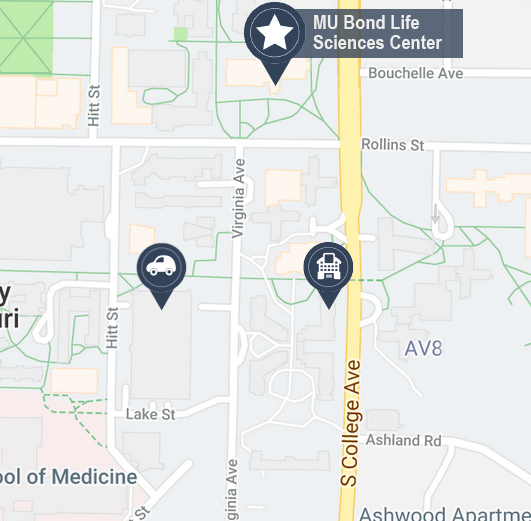 To access a map with additional details on the location of the Bond Life Sciences Center, please view our Location Information section. A more detailed list of presentations and workshops, along with speaker bios, can be found by accessing the MOCHA Conference Program. MOCHA exists to provide personal, academic, cultural, social, professional and leadership development to high school and undergraduate students who identify as men, in an effort to positively impact academic success, increase retention and develop successful leaders of tomorrow, today. MOCHA is dedicated to providing the tools necessary for the development of successful leaders. This initiative will create an environment dedicated to growth and leadership by providing mentorship and life changing experiences, with the goal of equipping participants with the necessary tools for personal, professional and academic success. If you have any questions regarding the conference, please feel free to contact Emily Love at LoveEE@umsystem.edu, Morgan McAboy-Young at mcaboyyoungm@missouri.edu or Peyton Flewelling at pefg38@mail.missouri.edu. The 2018 MOCHA Conference is sponsored by the University of Missouri-Columbia’s Division of Inclusion, Diversity & Equity, the UM System Office of Diversity, Equity and Inclusion, Veterans United and Shelter Insurance. The 2018 MOCHA Conference was held at the Bond Life Sciences Center on the University of Missouri-Columbia (MU) campus. For more information on finding the Bond Life Sciences Center, visit: bit.ly/LSCParking.